1) Stick to the speed limit as you drive the Road to Hana Maui. 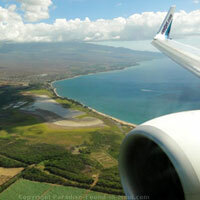 I know, I know... you've probably heard this one a million times before... but trust me - the nature of this highway makes it particularly important that you take this Maui travel tip to heart. The Hana Highway is full of twists and turns, many of them blindly winding around steep cliffs. There are also a lot of narrow bridges, which can only accommodate 1 car at a time. Lastly, since the Hana Highway is only 2 lanes wide, there are no medians to separate you from oncoming traffic. All this adds up to a recipe for a car accident if you drive too fast - driving at the speed limit will help keep you safe and make the drive more relaxing, which is the whole point of your being on vacation, right? Besides, the scenery is gorgeous, so taking your time on the Road to Hana Maui will allow you more time to admire the majestic views! 2) If a hurried driver starts tailgating you, pull over and allow them to pass when it's safe to do so. The Hana Highway widens at fairly regular intervals for this purpose. Fortunately, when we drove the Hana Highway, we didn't run into these types of drivers very often. But when we did, allowing these drivers to pass took away the stress that comes from someone riding your bumper. Plus, with no-one behind us, we could slow down to admire any particularly nice views that we came across. 3) Take turns at the one-lane bridges. These one-lane bridges are scattered all along the Road to Hana Maui, and have to accommodate traffic going in both directions - you'll notice that there is a yield sign and room to pull over at each of them. If you're the only car at the bridge, then proceed ahead with caution. Otherwise, wait until it is your lane's turn to cross. Often, if there is a lineup of cars accumulated on one side of the bridge, the entire lineup will cross at once - after they've passed, then your lane will have a chance to go. 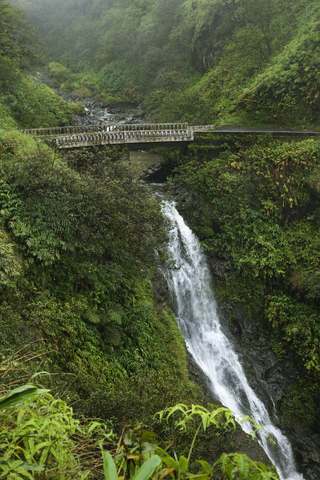 With over 50 of these bridges to cross on your journey, you will use this Maui travel tip over and over again! 4) Consider staying 1 night in the town of Hana. There are a TON of things to see as you drive the Hana Highway. If you want to see them all without rushing, you could easily spend an entire day making your way to Hana. Once you finally arrive there, you'll find that there is even more to see in the surrounding area: the Red Sand Beach, hike Maui in the Kipahulu area of Haleakala National Park, Oheo Gulch (a.k.a. the Seven Sacred Pools), and more. Seeing all of this can easily take up a good portion of yet another day! Tip number 4 is definitely one of the Maui travel tips that I wish WE had followed! We ended up missing out on a LOT of sights because we rushed the journey by going to Hana and back all in one day. 5) Fill up on gas and bring enough food and water to last you until you reach the town of Hana. Once you get out onto the Hana Highway, there aren't any stores, restaurants or gas stations where you can stock up. If you're lucky, you'll spot a roadside stand where you can pick up a yummy treat like homemade banana bread... but since these roadside stands don't necessarily have regular hours of operation like a regular store or restaurant would, it's best not to depend on these as your sole source of sustenance along the way. I came across this great video filmed by Richard Hassett on YouTube. Would you believe he filmed his entire drive along the Road to Hana? Check it out: he sped up the tape so you can see the whole thing in under 5 minutes (and he even added a cool tune to it for your listening pleasure!) Enjoy! Would you like to know how our drive to Hana went? Click here to read all about our experiences as we drove the Road to Hana Maui! 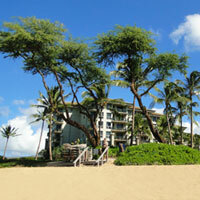 1) Read about more things to do and places to stay in the Hana, Maui area here. 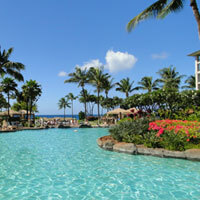 2) Want more ideas for fun and relaxing Maui activities? Check out our top things to do on Maui for relaxation!